Kaybridge carried out the infrastructure works for the first phase of a new housing development of 193 homes in Dagenham. 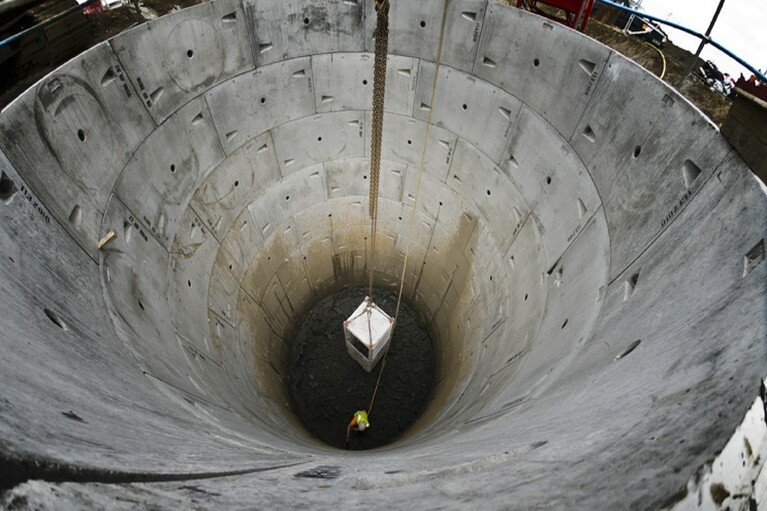 In addition to foundations and adoptable roads and sewers (including a 600mm pipe over 400 metres), we used the jacked caisson method to construct a 5.5m diameter caisson shaft 8.5m deep to form a watertight surface water pumping chamber to serve the development. The jacked caisson method avoided the need for a dewatering system.